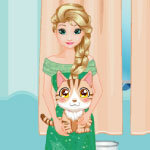 Description: Play Minnies Fluttering Butterfly Bow for free online on girlsgo2games.com. It is safe and cool to play. Every day new baby games free online on girlsgo2games.com!